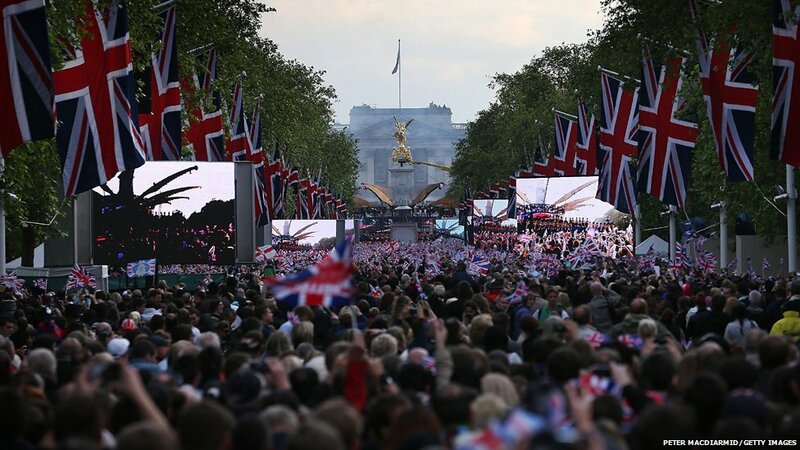 Thousands of spectators gathered outside Buckingham Palace and on The Mall to watch a star-studded concert to mark the Queen's Diamond Jubilee. 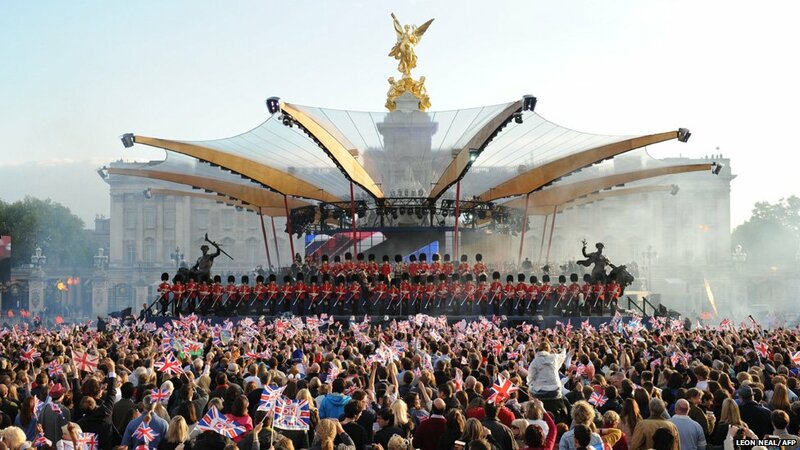 The event kicked off with the Band of the Scots Guards performing for a huge crowd, many of whom had been queuing since the early hours of the day. 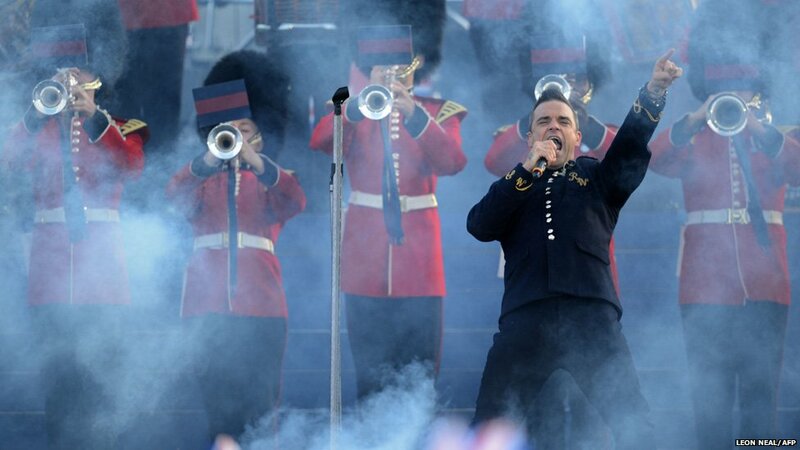 Pop star Robbie Williams then took to the specially-constructed stage around the Queen Victoria Memorial to sing his hit Let Me Entertain You. 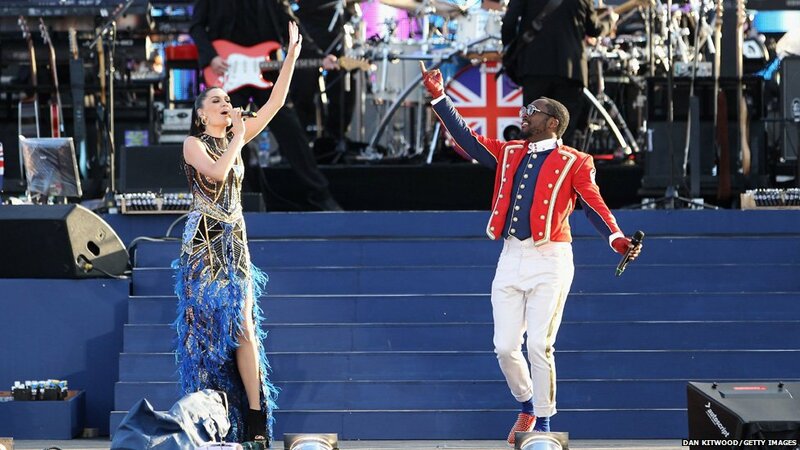 Williams was followed on stage by Black Eyed Peas star will.i.am, his fellow Voice judge Jessie J and boy band JLS. 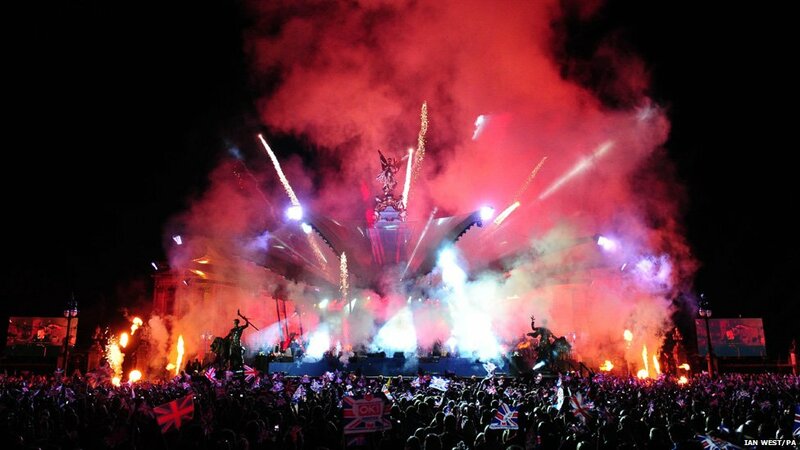 The event is a joint venture between the BBC and Gary Barlow, who co-wrote Sing, the official song for the Diamond Jubilee celebrations. Barlow took to the stage to perform a surprise duet with Cheryl Cole. 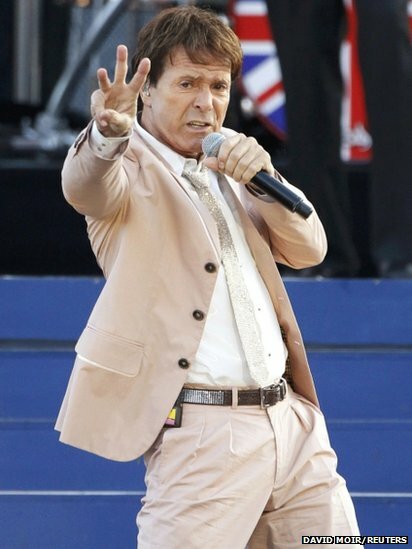 Next on the bill was Sir Cliff Richard, who performed a medley of decade-straddling hits and his 1968 Eurovision track Congratulations. Singer Grace Jones surely deserved some herself for performing Slave to the Rhythm while spinning a hula hoop around her midriff. 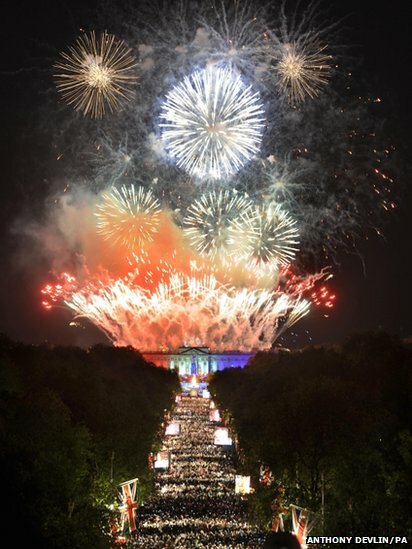 Between the music acts, hosting duties were handled by Rob Brydon, Miranda Hart, Lenny Henry and Lee Mack. 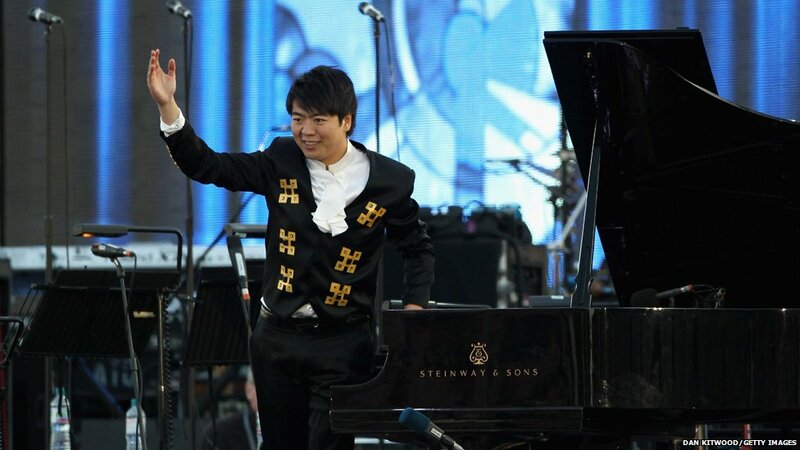 The world of classical music was represented by pianist Lang Lang and tenor Alfie Boe. 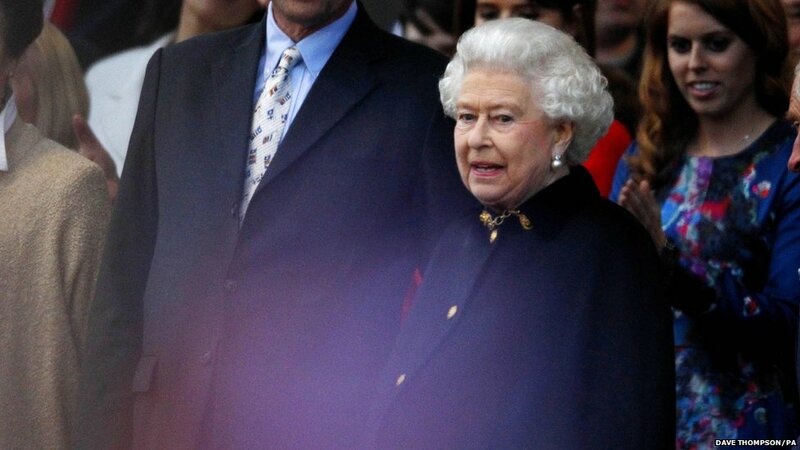 The Queen was not present for the first 90 minutes of the concert, taking her seat in the Royal Box at 21:00 BST. 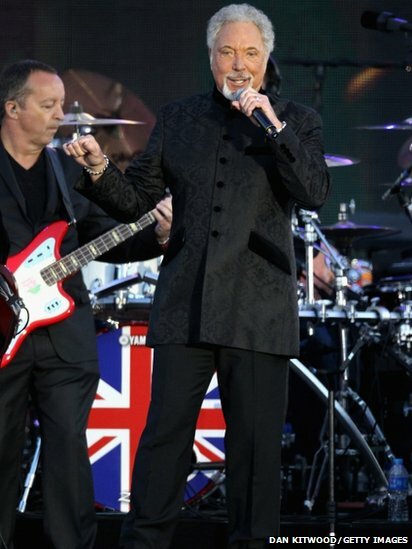 Other artists who have performed include Annie Lennox, Ed Sheeran and Sir Tom Jones. 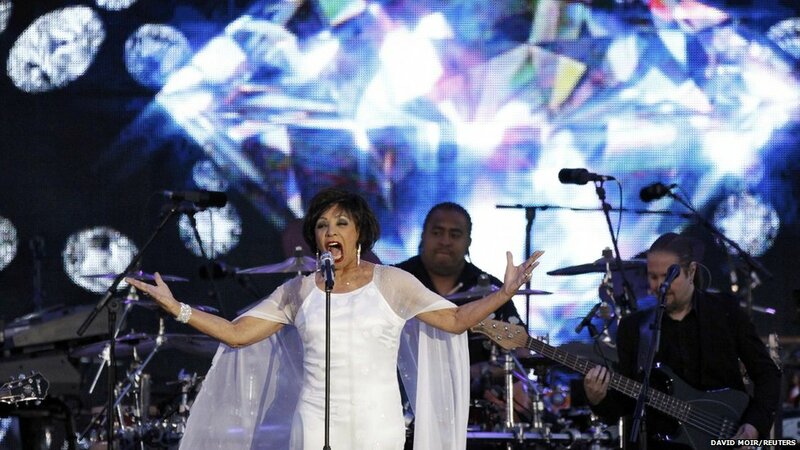 Dame Shirley Bassey performed the James Bond theme Diamonds are Forever. While Kylie Minogue - dressed as a pearly queen - was joined by street dance crew Flawless. 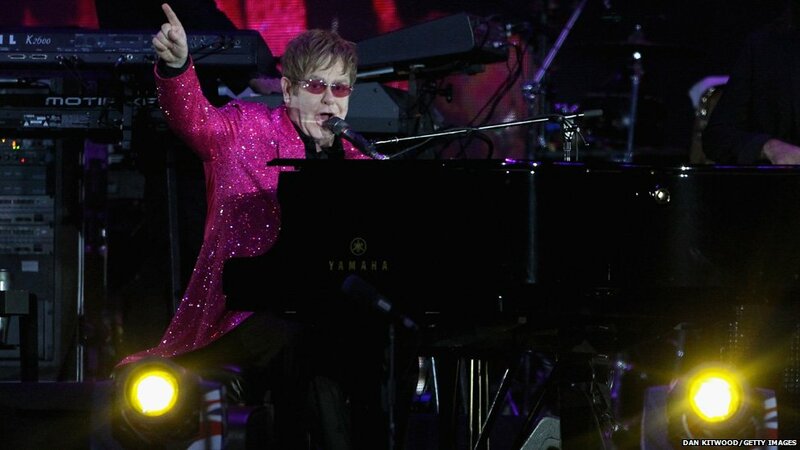 She was followed by Sir Elton John, who sang such tracks as Crocodile Rock and Your Song in a sparkly pink jacket. 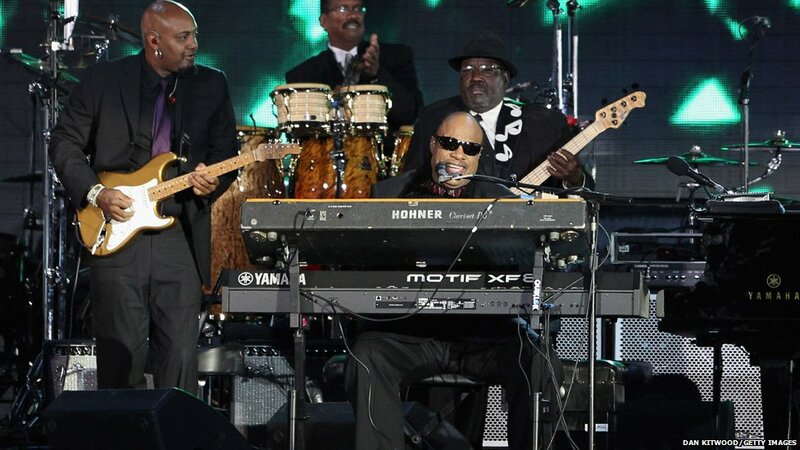 Stevie Wonder took the opportunity to wish the Queen a happy birthday during a set that included Superstition and Isn't She Lovely. 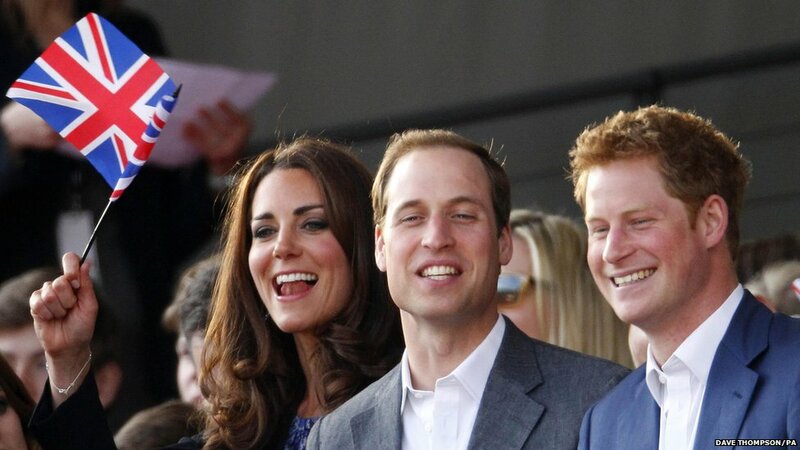 Though the monarch was born on 21 April, her official birthday is traditionally celebrated at the beginning of June. 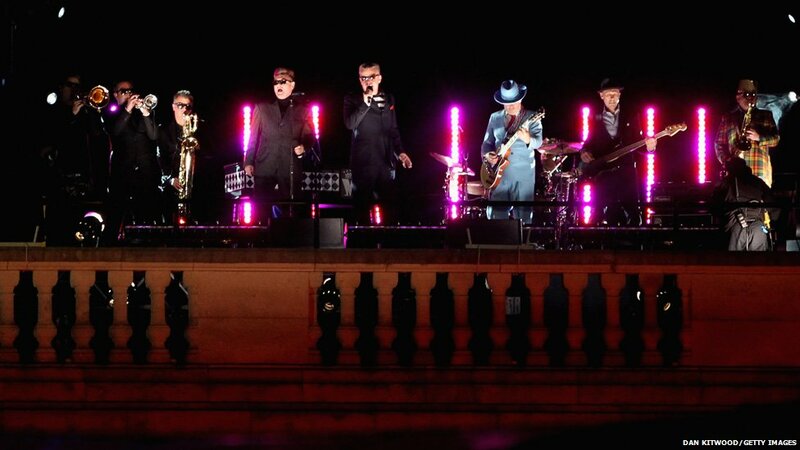 Pop veterans Madness then performed Our House from the roof of Buckingham Palace. 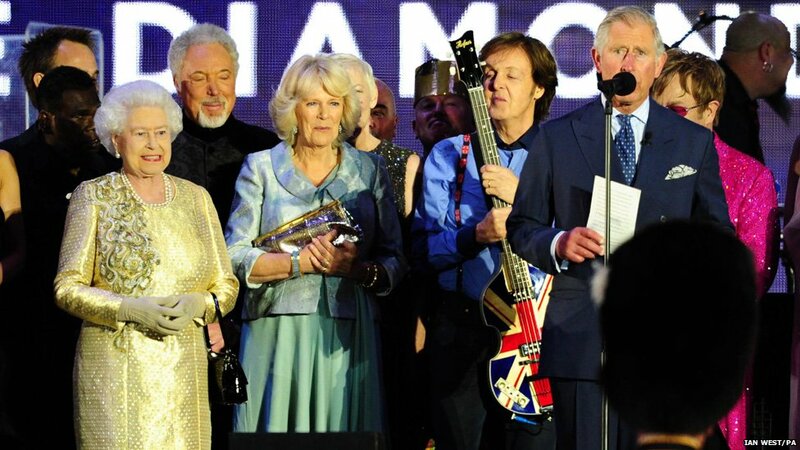 Sir Paul McCartney was the final act on a night that ended when the Queen lit a beacon to mark her 60-year reign. At the end of the night, Prince Charles appeared on stage with his mother and thanked her for "making us proud to be British". "As a nation, this is our opportunity to thank you and my father for always being there for us," he said.